Did our 2018 Annual Appeal letter arrive in your mailbox? Your generous gift is 100% tax deductible and supports the Loxahatchee River Historical Society’s operation of the Lighthouse & Museum and its mission. Gifts may be given in tribute of a loved one or may be allocated to a specific area of interest. 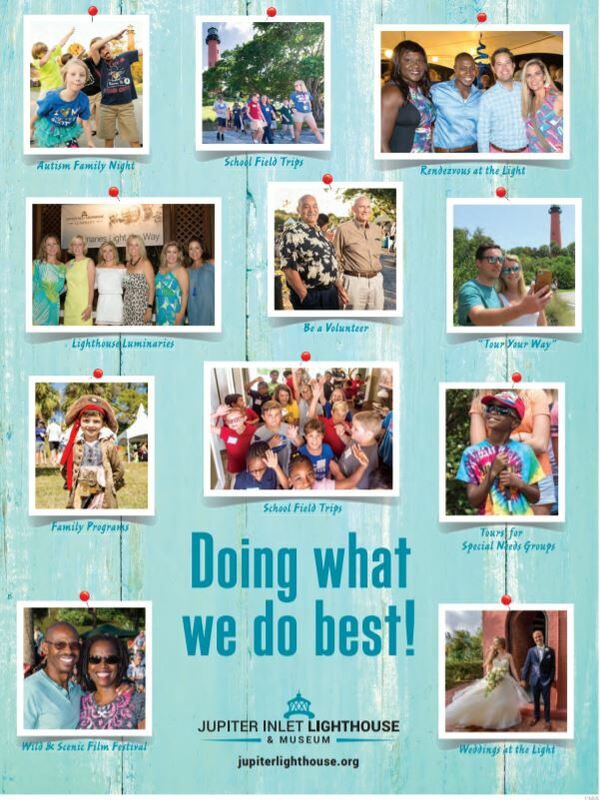 Estate, financial and gift planning are other ways you can choose to leave your mark on history and build a solid future for the Historical Society and the Jupiter Inlet Lighthouse. Assets including cash, securities, life insurance, retirement plan assets and tangible personal property may be given to support the continuing needs and growth of the Society. To discuss planned giving, please contact: Jamie Stuve, President & CEO jstuve@jupiterlighthouse.org 561-747-8380 x 102 or send a letter to: Loxahatchee River Historical Society, Jamie Stuve, President & CEO. 500 Captain Armour’s Way, Jupiter, FL 33469 You can also make an online donation to the Jupiter Inlet Lighthouse Endowment Fund of the Community Foundation for Palm Beach and Martin Counties. General Meade Society of Philadelphia, Inc.
Jupiter Lighthouse Radio Group, Inc.
Split Rock Charitable Foundation, Inc. The Loxahatchee River Historical Society is an independent nonprofit membership organization with 501(c)(3) federal tax-exempt status. The Society is registered with the Florida Department of Agriculture & Consumer Services as #CH3759. The Society does not employ or receive services of any professional solicitor. All contributions made to the Society are used exclusively and entirely for Society services, programs and operation. A COPY OF THE OFFICIAL REGISTRATION AND FINANCIAL INFORMATION MAY BE OBTAINED FROM THE DIVISION OF CONSUMER SERVICES BY CALLING TOLL-FREE (800-435-7352) WITHIN THE STATE. REGISTRATION DOES NOT IMPLY ENDORSEMENT, APPROVAL, OR RECOMMENDATION BY THE STATE.